You Are Here: Home > How Much is a Chevrolet Camaro? How Much is a Chevrolet Camaro? If you’re looking for a new Camaro in the Lakeland area, you’re probably wondering, “how much is a Camaro?.” The 2019 Chevrolet Camaro is available in various configurations, with prices ranging from $25,995 to $68,995. Whether you’re looking for a red coupe or a white Camaro convertible, we’ll get you behind the wheel of your dream muscle car! Features: Supercharged 6.2L V8 engine that delivers 650 hp and 650 lb-ft of torque, six-speed manual transmission with Active Rev Matching, available paddle-shift 10-speed automatic transmission, dual-mode exhaust with quad exhaust tips, and more. 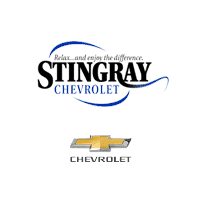 Once you’ve found the Chevy Camaro that fits your lifestyle, it’s time to visit Stingray Chevrolet for a test drive. We’ll explore the different configurations and prices, as well as the technology features, luxurious interior, exterior features, and compare the Chevy Camaro vs. Chevy Corvette Stingray and the Ford Mustang. Browse our current vehicle specials and Camaro lease deals online, and save on your next sports coupe or convertible. Contact us today with any questions! Disclaimer: *MSRP excludes tax, title, license, dealer fees and optional equipment. See dealer for details.